DETROIT -- Ford Motor Co. lowered its full-year forecast due to challenges overseas and said CEO Jim Hackett's global restructuring efforts could result in charges totaling $11 billion over the next three to five years. CFO Bob Shanks said the weaker guidance was not related to the Trump administration's tariffs on steel and aluminum, which General Motors cited earlier in the day when cutting its own outlook. Ford did, however, take a tariff hit in the quarter and expects a bigger impact later this year. Ford said trouble in Europe and Asia will trim adjusted earnings to $1.30-$1.50 a share in 2018, from prior guidance of $1.45-$1.70 per share. In the second quarter, Ford's net income fell 48 per cent to $1.1 billion. Executives blamed the drop on challenges in China and a supplier fire that crippled U.S. production of highly profitable F-series pickups for more than a week in May. Revenue fell 2 per cent to $38.9 billion compared with the second quarter of 2017. Ford's earnings before interest and taxes dropped 40 per cent to $1.7 billion. "It was obviously a very tough quarter for us," Shanks told reporters. Ford's North American profit dropped 25 per cent to $1.8 billion. It attributed the decline to a fire at a Michigan magnesium plant that made parts for the F series and a settlement over faulty Takata airbags. Ford's earnings fell in each of its global regions other than the one that comprises Africa and the Middle East. Shanks said Ford took a $145 million hit in the quarter related to tariffs and expects that Ford will lose $500 million-$600 million on tariff-related charges this year. But he said the issue was not affecting earnings guidance because the company will be able to absorb the costs in North America. Ford shares sank earlier Wednesday to their lowest level in nearly six years before its earnings were reported, but recovered most of their losses and closed the day off less than 1 per cent at $10.52. In after hours trading, the shares fell 2.4 per cent as of 4:31 pm ET. Shanks declined to say if the $11 billion in restructuring charges would result in Ford pulling out of any global markets but suggested that, by offering a concrete number, Ford already had a sense of what exactly it planned to do. 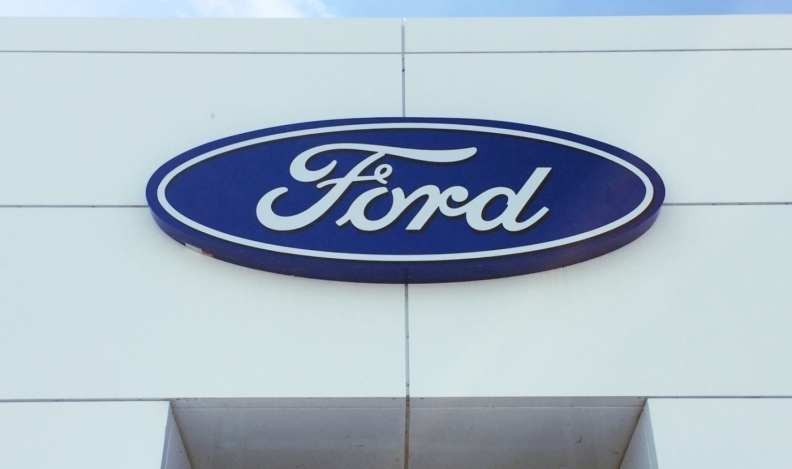 A Morgan Stanley analyst report in March estimated that Ford would need to take charges of $4 billion to $12 billion to achieve the kind of cost cuts Hackett is targeting. Ford’s profit margin for the quarter was 2.7 per cent, down from 5.1 per cent a year earlier. Its North American margin declined to 7.4 per cent from 9.5 percent in the second quarter of 2017. The company lost $394 million in its Asia Pacific region, versus a $167 million profit a year earlier. Its European region swung to a loss of $73 million, and South American losses grew 1 per cent to $178 million. It made $49 million in the Middle East & Africa after losing the same amount a year earlier. Ford said its mobility unit lost $181 million in the second quarter, nearly triple its outflow a year ago. The unit is in a stage with heavy investment and little revenue to offset that. Ford Motor Credit made $645 million, a 4.2 per cent increase. Ford’s net income equaled 27 cents per share, 4 cents less than the consensus estimate on Wall Street of 31 cents.